he takes credit for the freest and fairest election in the country’s history. Here are our top takes. He’s right about one thing, that election still gets top reference – just not they way he would like it to be. When confronted with the question of whether June 12 or Abiola should be accorded an official national recognition, IBB went into defensive mode. Yeah, we know all of that, but what about the national recognition? Verdict: Question remains unanswered. As far as we know, IBB’s card is not in the ring for a shot at Aso Rock. But this is Nigeria so you never can tell. However he is pumped up about the election year. Finally, IBB was given the opportunity to set the record straight on reports that he threatened to “expose (CPC National leader) General Buhari”, he couldn’t have been more dismissive. Yeah, Goodluck Jonathan “enjoys a good relationship” with Rotimi Amaechi. How about that? 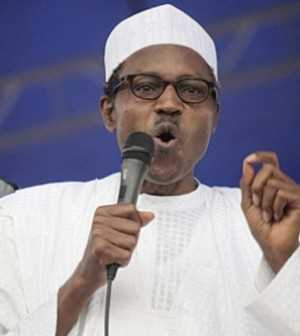 The grounds on which General Buhari is being promoted as the alternative choice are … not only shaky, but pitifully naive. History matters. Records are not kept simply to assist the weakness of memory, but to operate as guides to the future. Of course, we know that human beings change. What the claims of personality change or transformation impose on us is a rigorous inspection of the evidence, not wishful speculation or behind-the- scenes assurances. Public offence, crimes against a polity, must be answered in the public space, not in caucuses of bargaining. In Buhari, we have been offered no evidence of the sheerest prospect of change. On the contrary, all evidences suggests that this is one individual who remains convinced that this is one ex-ruler that the nation cannot call to order. Buhari ? need one remind anyone – was one of the generals who treated a Commission of Enquiry, the Oputa Panel, with unconcealed disdain. Like Babangida and Abdusalami, he refused to put in appearance even though complaints that were tabled against him involved a career of gross abuses of power and blatant assault on the fundamental human rights of the Nigerian citizenry. Prominent against these charges was an act that amounted to nothing less than judicial murder, the execution of a citizen under a retroactive decree. Does Decree 20 ring a bell? If not, then, perhaps the names of three youths – Lawal Ojuolape (30), Bernard Ogedengbe (29) and Bartholomew Owoh (26) do. To put it quite plainly, one of those three Ogedengbe – was executed for a crime that did not carry a capital forfeit at the time it was committed. This was an unconscionable crime, carried out in defiance of the pleas and protests of nearly every sector of the Nigerian and international community religious, civil rights, political, trade unions etc. Buhari and his sidekick and partner-in-crime, Tunde Idiagbon persisted in this inhuman act for one reason and one reason only: to place Nigerians on notice that they were now under an iron, inflexible rule, under governance by fear. The execution of that youthful innocent for so he was, since the punishment did not exist at the time of commission – was nothing short of premeditated murder, for which the perpetrators should normally stand trial upon their loss of immunity. Are we truly expected to forget this violation of our entitlement to security as provided under existing laws? And even if our sensibilities have become blunted by succeeding seasons of cruelty and brutality, if power itself had so coarsened the sensibilities also of rulers and corrupted their judgment, what should one rightly expect after they have been rescued from the snare of power. At the very least, a revaluation, leading hopefully to remorse, and its expression to a wronged society. At the very least, such a revaluation should engender reticence, silence. In the case of Buhari, it was the opposite. Since leaving office he has declared in the most categorical terms that he had no regrets over this murder and would do so again. Human life is inviolate. The right to life is the uniquely fundamental right on which all other rights are based. The crime that General Buhari committed against the entire nation went further however, inconceivable as it might first appear. That crime is one of the most profound negations of civic being. Not content with hammering down the freedom of expression in general terms, Buhari specifically forbade all public discussion of a return to civilian, democratic rule. Let us constantly applaud our media those battle scarred professionals did not completely knuckle down. P-Square eyeing TU-Face Babydaddy carreer?! !